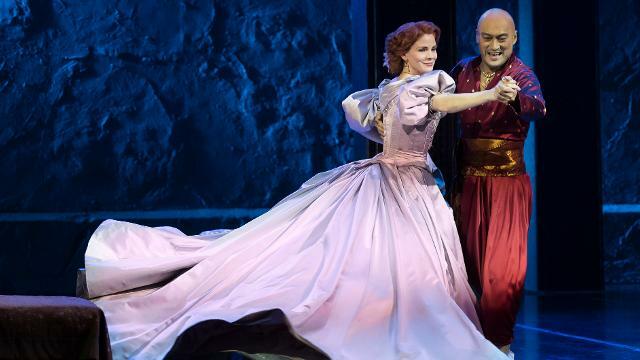 Ken Watanabe and Kelli O'Hara in The King and I at the London Palladium. Image: Paul Kolnik. Image courtesy of Neil Reading PR. See the multi-award-winning Lincoln Center Theater’s production of The King and I as it comes to the London Palladium. Set in 1860s Bangkok, the musical tells the story of the unconventional and passionate relationship that develops between the King of Siam and Anna Leonowens, a British schoolteacher who the king brings to Siam to tutor his many wives and children. Tony and Oscar-nominated film star Ken Watanabe makes his West End debut in the title role of the King of Siam, while Kelli O’Hara reprises her Tony Award-winning role of Anna Leonowens. The score includes a line-up of treasured songs, including Getting to Know You and Shall We Dance.